According to the Black Sea Fleet spokesman, Russia’s submarine has successfully passed the Dardanelles and the Bosphorus. Russia’s Rostov-on-Don submarine that has taken part in attacks on terrorist targets in Syria has returned from the Mediterranean Sea to the Black Sea, a spokesman for the Russian Black Sea Fleet said Monday. “Diesel submarine Rostov-on-Don of the Black Sea Fleet <…> has successfully passed the Dardanelles and the Bosphorus straits and arrived in the Black Sea,” Vyacheslav Trukhachev said. The Russian Kilo-class Rostov-on-Don submarine, deployed in the Mediterranean Sea, fired Kalibr cruise missiles targeting Islamic State (Daesh in Arabic) positions in Syria on Tuesday. 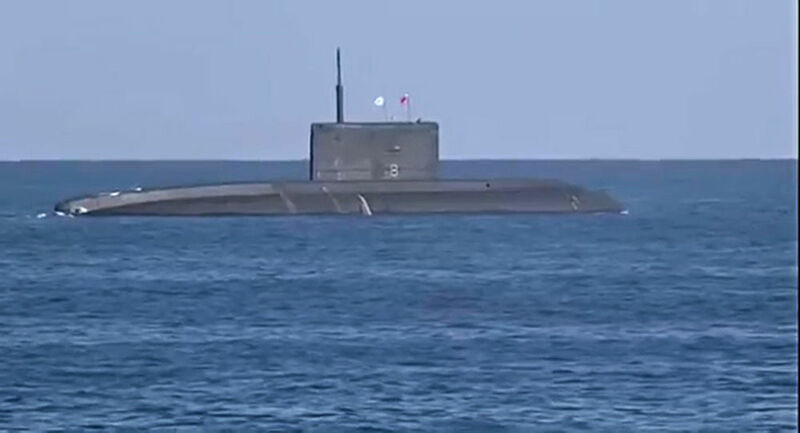 The submarine fired missiles in a salvo from torpedo tubes while submerged.The attack destroyed two command posts belonging to Islamic State, a group outlawed in Russia and many other countries, according to the Russian Defense Ministry. Russia has been conducting aerial counter-terrorist operations against Daesh and other terrorist groups in Syria since September 30 at the request of Syrian President Bashar Assad.